Looking for something to read this long weekend? 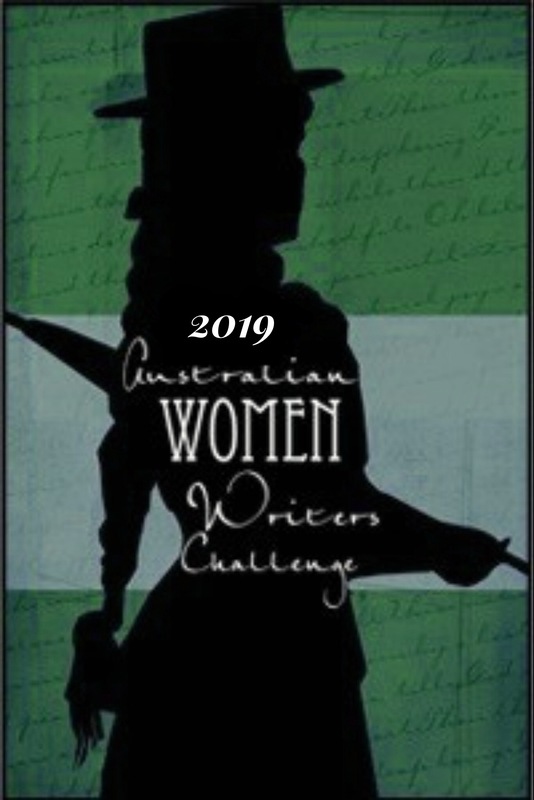 The Australian Women Writers Challenge database has links to reviews of over 3000 books by Australian women. You can search by genre or year or author or title, or just browse through alphabetically. 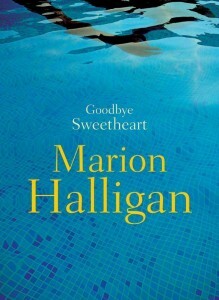 Kim from Reading Matters reviewed Marion Halligan’s Goodbye Sweeheart (2015). Having recently read Halligan’s contribution to the collection, Rebellious Daughters, a brilliant and sparsely written memoir piece, I was interested to read Kim’s take on this novel. Halligan’s work is now firmly fixed on my radar. 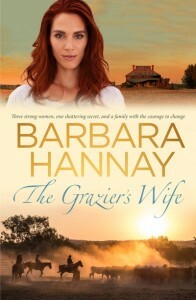 The next “H” in our AWW database is Barbara Hannay, whose The Secret Years I enjoyed reading earlier this year. Both readroundoz and Brenda on Goodreads reviewed Hannay’s latest, The Grazier’s Wife (2016), and both are fans. As in the The Secret Years, Hannay jumps in time, in this case from 1946 to 1970 and then to 2015. Again there’s a family secret which impels the narrative and both reviewers found the story worthwhile and gripping. 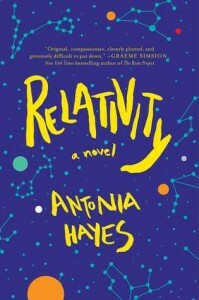 There are several “H” authors whose work overlaps with other genres and categories, including Sophie Hardcastle’s YA novel Breathing Underwater (2015), which Rochelle Sharpe describes as profoundly moving. Harrower’s only novel to be set in post war England focuses on young Clemency Jones. Brilliant writing evokes a tangible sense of the cold, deprivation and chaos that existed in London at this time. According to Bronwyn, the book provokes strong emotions – not an easy read. One review I was eager to read was from Whispering Gums who discusses Sonya Hartnett’s Golden Boys (2014). Although it has been featured previously on the AWW blog, it’s one of those novels that stays in the mind and is worth highlighting again here, especially for WG’s take on the YA versus Adult debate. You can tell, with Golden boys, that Hartnett is an experienced writer for young people. The book’s protagonists, the perspectives through whom the story is told, are all pre-teen. The three main voices are 12-year-old Colt, eldest son of the well-to-do Jensons, and almost 13-year-old Freya and 10-year-old Syd, children of the working class Kileys. The set up is that the Jensons have moved into a working class suburb for a reason that starts to become clear as the book progresses. More than arbitrary distinctions between YA and Adult fiction, the reviewer is interested in the idea of voice and audience. When writers write in the voice of young people, or through the eyes of young people, there’s an immediate assumption, fear even, that the work is for young adults, but this isn’t necessarily so, though it can probably make such books cross more easily between adult and young adult readers. This is where Hartnett’s adult-marketed Golden boys sits. Its subject matter extends beyond a narrow focus on teenage experience, like first romantic relationship, first sexual experience, feelings of alienation or otherness, conflict with parents, and so on, to exploring the experience of awakening awareness to the reality of adult life. 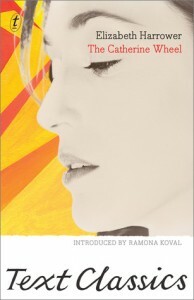 Hartnett’s writing is brilliant, even if the subject matter is tough; it’s no wonder Golden Boys won the 2015 Indie Award and was shortlisted for so many other literary awards (the Miles Franklin, NSW and Victorian Premier’s Literary and Australian Book Industry Awards), as well as being longlisted for the Stella Prize. It remains one of my standout reads for the AWW challenge over the past few years. tailor-made for librarians and book lovers (like me) who enjoy literary fiction. 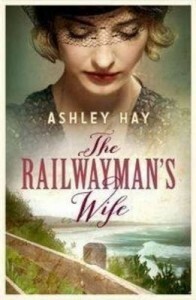 Set in the Australian seaside town of Thirroul beginning in 1948, it navigates the emotional changes in a young woman, Anikka Lachlan, over the course of her first year as a widow. Does its time setting (1948) make this book technically a historical novel, rather than “general fiction”? I think so, but I’ve recently been reading more Australian fiction set in the mid twentieth century and earlier, and this one is going on my ever-growing “to be read” pile. There are four more “H” authors in the database for this period: Antonia Hayes, Sally Hepworth, Chloe Hooper and Eliza Henry-Jones. Set in an assisted living facility, the novel is foremost a love story between Anna Forster, who is 38 and in the early stages of Alzheimer’s disease, and Young Guy (Luke) who has dementia. A different kind of book altogether is Chloe Hooper’s The Engagement (2012), a psychological thriller Shannon from Giraffe Days found to be among the creepiest she’s read. It’s about a woman, Liese, who moves to the city to work for her uncle’s real estate agency and ends up using listed properties to have an affair with a man. Given a sordid premise and a hyper-real style that is almost a little too real, Shannon found the book deeply unsettling (she describes it as a “mindfuck”, actually). Her review nevertheless leaves the reader wondering (note: You have to scroll down to find it). 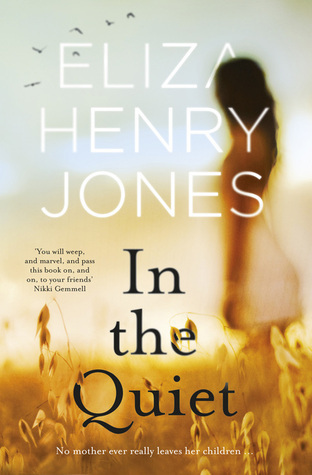 The book I’ve left to last to discuss is another that deals with grief, Eliza Henry-Jones’ debut novel, In the Quiet (2015), which a friend recommended to Brenda on Goodreads. I recently read Henry-Jones’ brilliant contribution to the Rebellious Daughters collection, “Just Be Kind”, a piece which brought me to tears. [Henry-Jones’] fiction has been published widely in journals and anthologies. She was a young writer-in-residence at the Katharine Susannah Prichard Writers’ Centre in 2012 and was a recipient of a Varuna residential fellowship for 2015. She was shortlisted for the Express Media Outstanding Achievement by a Young Person in the Arts award in 2015. 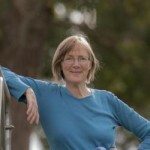 Henry-Jones has qualifications in English, psychology and grief, loss and trauma counselling and completed a thesis exploring bushfire trauma in fiction. If the writing of In the Quiet is in any way of the same quality and emotional power as her memoir fragment in Rebellious Daughters, readers are in for a treat. About me: Under the name Lizzy Chandler, I have published two ebooks with Escape, Snowy River Man (a rural romance with a touch of suspense) and By Her Side (a romantic suspense). I have another currently under consideration. Snowy River Man was released in print by MIRA in August 2016 as part of the “3-in-1 Australian Bestsellers” collection, Country Secrets. I blog about books at Devoted Eclectic, and have a PhD in Australian poetry and a Graduate Diploma in Counselling. When not reading, writing or daydreaming, I may be found on Twitter @elizabethlhuede. I also look after the @auswomenwriters account and retweet links to AWW reviews using the #aww2016 hashtag. Lovely write up Elizabeth. I had never thought of H being a common surname starter but now I know better. Re the historical fiction issue, I was thinking that we should be moving out criterion forward not back as we near 2020! Should it now be books set before 1970? Certainly books set in the 1960s are starting to feel a bit historic to me!